This site was repackaged from the existing site that Central had. 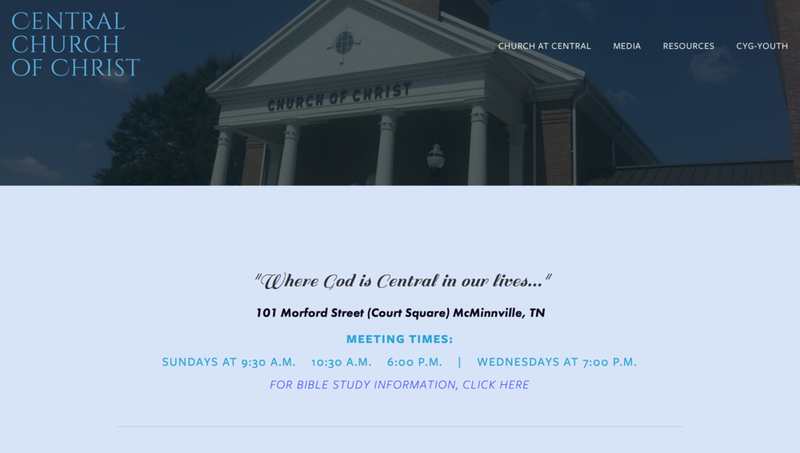 With a new look, colors, backgrounds and more ways to interact, this site serves as a great resource for the church, youth group, and the area for events, sermons, and a presence of the congregation. As an addition, the youth site was also separately relaunched but is currently not being maintained due to a staff opening at the church. The congregation is a joint participant of Erupt Youth Rally and the site that is hosted on the backbone of this site for that event can be seen at www.eruptyouthrally.com.